Morris & Co. Body and Home Fragrance Collection is inspired by the uplifting ideals and superb designs that are the William Morris legacy to British art. Fragranced with rich, earthy scents based on sandalwood, patchouli, amber and incense oils. Blended to embrace a heart of deeply restorative rose and violet, topped with notes of dew- fresh red berries, mandarin, bergamot and pepper. Melded together to deliver crispness with warmth. 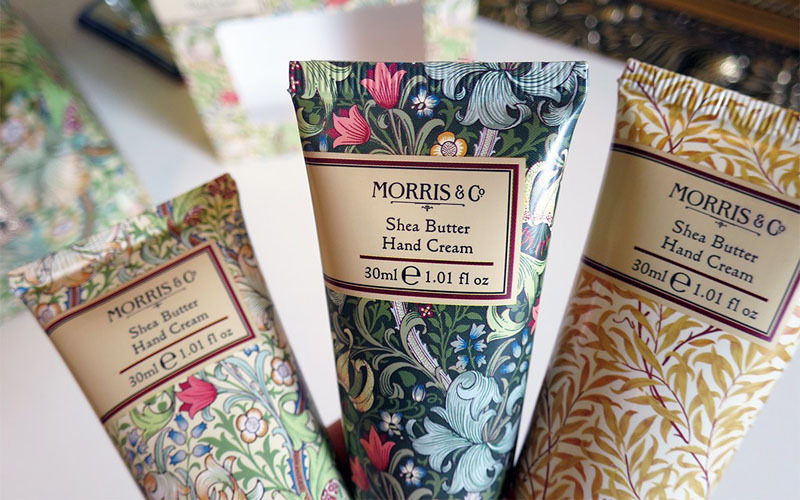 These beautiful hand creams are available now at Nest & Burrow and make the perfect gift. Remember, Mother’s Day is not too far away!